PHILADELPHIA (WPVI) -- The Atlanta Braves have signed former Philadelphia Phillies star Ryan Howard to a minor league contract. The team made the announcement Thursday afternoon. The Braves say Howard will report to extended spring training next week and then will be assigned to Triple-A Gwinnett when he's ready. Back in November, the Phillies declined the 2017 option on Howard's contract after 12 seasons with the team. On October 3rd, a special pre-game ceremony honored the team veteran, who was the only remaining member of the 2008 World Series Championship team. His wife, Krystal, joined him on the field. Hall of Famer Mike Schmidt presented him with a commemorative plaque. For Howard, it was hard to keep back the tears. 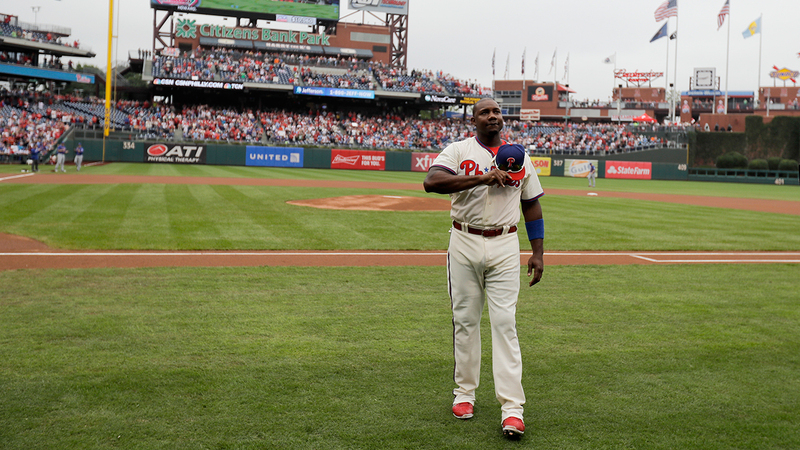 "My family has grown with all of you," Howard told the crowd at Citizens Bank Park. Howard's accolades include National League Rookie of the Year in 2005 and the National League's Most Valuable Player in 2006.